Alan Pardew believes Newcastle United fans are still getting to know him as a manager – but that this summer ought to have shown them he at least cares. The Magpies manager is far too diplomatic to say so, but many would have understood had he walked out on the club last month. The appointment of director of football Joe Kinnear as his superior was interpreted by many as an affront to his authority. But, clearly hurt by a season of under-achievement, Pardew is determined to put the record straight. And he hopes the fact he has so many players who owe him a debt of loyalty will help him to succeed. 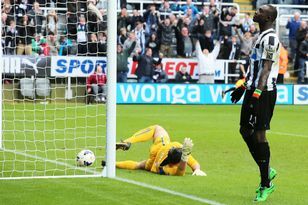 Having inherited a team that owner Mike Ashley was starting to worry might be sucked into a relegation battle, Pardew led Newcastle to fifth in the Premier League in his first full season at St James’ Park. It earned him manager of the year plaudits both from the league and his union, the League Managers’ Association. Last term was a reality check, however, only Sunderland separating the Magpies from the relegation zone as the added demands of the Europa League took a big toll. Now he wants to build a more positive identity for his team. “My first half-season we had a side that was quite functional,” he said. “The fans couldn’t read too much in to what I was about because I’d only had that half of a season. “The second year went swimmingly well. But I think I proved last year to the fans, like I did to West Ham fans, that I don’t buckle under pressure. I don’t give in, I will fight and I will keep fighting for these players I have brought here or I have re-signed. “I can only think of two or three players I have not given contracts to here. I want to do the best for them, protect them and give them the best platform. The appointment of Kinnear was Ashley’s attempt to address what he sees as the main issues around the club. Although in practical terms the arrival of the director of football should not substantially change Pardew’s role, there is a sense that Kinnear has been installed to keep an eye on the manager on Ashley’s behalf. The priority for Pardew is adding more firepower to a squad light on strikers, though his first signing could prove to be a goalkeeper. Newcastle are reportedly in talks with PSV Eindhoven to sign Jeroen Zoet as a replacement for Steve Harper. The 38-year-old was released by Newcastle at the end of the season and is thought to be in talks with newly-promoted Hull City about a move. He is expected to return to St James’ Park anyway next season, for a testimonial between Newcastle legends and their AC Milan counterparts. Rob Elliot proved a more than capable deputy for Tim Krul last year, but Pardew would like the reassurance of a third senior goalkeeper. Twenty-two-year-old Zoet has not played first-team football for PSV but is the Netherlands’ first-choice at Under-21 level, and has had two seasons as a regular on loan at RKC Waalwijk. Meanwhile, Newcastle’s Premier League fixture list took on a more realistic look yesterday when Sky Sports and BT announced their initial batch of televised matches. Seven Newcastle games have been moved, and their season will now start two days later, with their opener at Manchester City selected for a Monday night screening. The new dates are as follows: Manchester City (away), Monday August 19, 8pm; Everton (away), Monday September 30, 8pm; Liverpool (home), Saturday October 19, 12.45pm; Sunderland (away), Sunday October 27, 4pm; Chelsea (home), Saturday November 2, 12.45pm; Tottenham Hotspur (away), Sunday November 10, noon; West Bromwich Albion (home), Saturday November 30, 5.30pm. The games against Liverpool and Chelsea will be shown live by BT Sports, with the rest on Sky. The time of the Wear-Tyne derby could well be moved again if police want an earlier kick-off.